The following picture options are available for images, screenshots, and characters. They're also available for shapes, captions, and text boxes that are filled with pictures or textures. 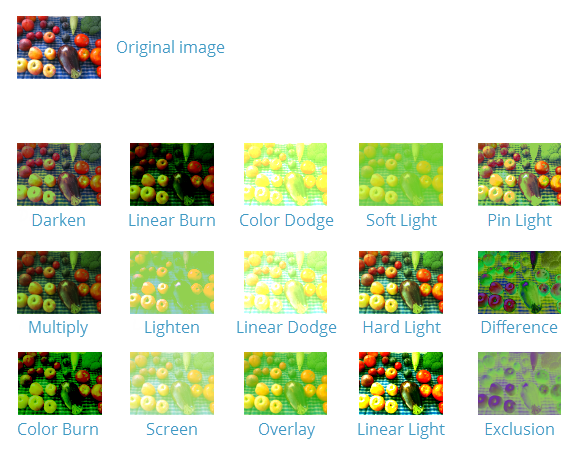 Use the Preset selector to alter the color of a picture. The color choices come from your theme colors. The Blend options give you even more control over the color qualities of an image. 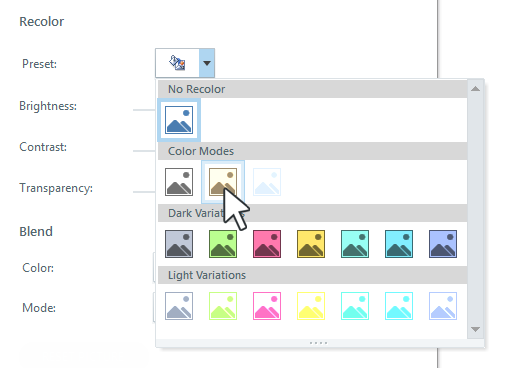 To apply a color blend, choose the color you want to use, then choose a blend mode. Color: Choose a color from the Theme Colors or Standard Colors. 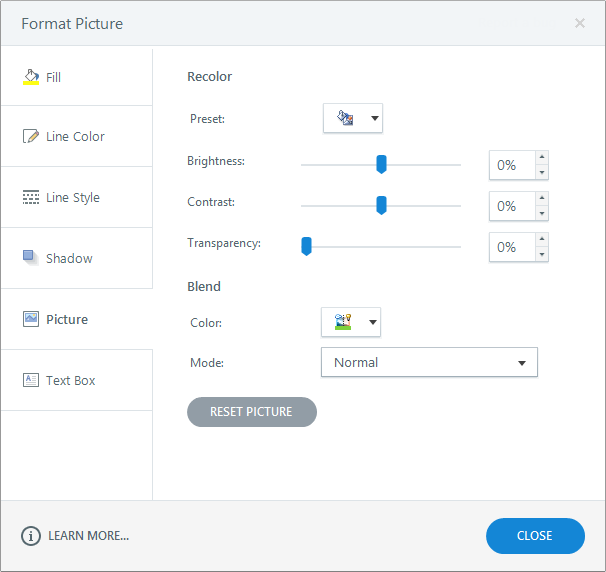 (Learn how to customize your theme colors.) To use a custom color, click More Colors or Eyedropper. Mode: Choose how the color affects your image. You may need to experiment with different combinations of colors and modes until you find the look you want. For example, here's an image in its untouched form and with a standard green color applied in various color modes. If you change your mind about the customizations you make or just want to start over, click Reset picture to return the image to its default settings.